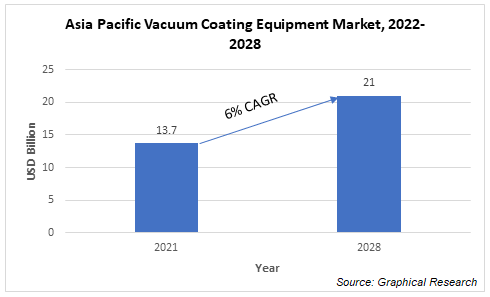 Asia Pacific vacuum coatings equipment market size was estimated around USD 13.8 billion in 2017 and likely to exhibit 8.6% growth in the forecast timeframe. Strong growth in the Asia Pacific construction sector is mainly due to rising investment by regional government in major infrastructure projects to boost economy, which will have subsequent impact on the Asia Pacific vacuum coating equipment market size by 2024. 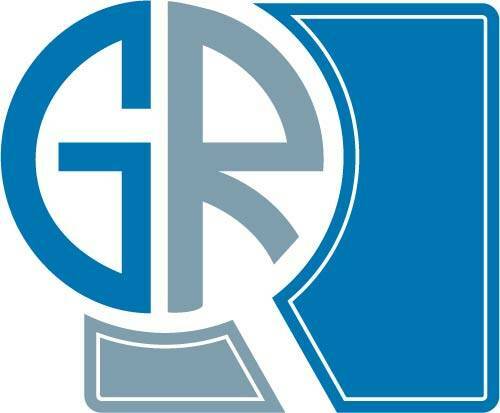 Moreover, rising automotive sales is another reason which will have subsequent impact on the Asia Pacific vacuum coating equipment market size by 2024. For instance, India registered sales of approximately 3 million vehicles which rose to 4 million vehicles by the end of 2017. These trends will help make noteworthy contribution to Asia Pacific vacuum coatings market size in the coming years. PVD coating is applied on engine components such as valve, piston rings & pins and gears. It is adopted over electroplating as it reduces wear and friction between the engine components which leads to improved engine performance and high energy saving. Operational shortcomings are probable to obstruct the overall Asia Pacific vacuum coating equipment market size in the coming years. For instance, high startup cost of Chemical Vapor Deposition (CVD) will be major hindrance for the overall industry share in the near future. However, several benefits such as better shelf life, bright colors, scratch protection, etc. associated with product will generate plentiful opportunities for Asia Pacific vacuum coating equipment market size by 2024. Based on product, Asia Pacific vacuum coating equipment market is segmented into magnetron sputtering, chemical vapor deposition (CVD), physical vapor deposition (PVD), etc. Magnetron sputtering market is likely to witness gains close to 9% during the forecast timeframe. Magnetron sputtering equipment is an advanced technology version of physical vapor deposition. It is used in the fields of gas sensors, corrosion-resistant films, opto storage devices, magnetic films, electrical resistance films, and metallizing for microelectronic circuits. According to application segment, Asia Pacific vacuum coating equipment market size can be segmented into microelectronics, storage, solar, medical equipment, cutting tools, etc. Microelectronics accounted for major share in physical vapor deposition application in 2017. Technological advancements have led to increased adoption of integrated circuits and photovoltaic devices in electronics market which will help attain promising gains to the Asia Pacific vacuum coating equipment market size by 2024.